Art Africa Miami Arts Fair at the Lyric Theater in Overtown. Audrey Armitage interviews organizer Neil Hall. Organizer Neil Hall says the art fair reflects many narratives of the African diaspora, bringing a modern twist to traditional African art forms. 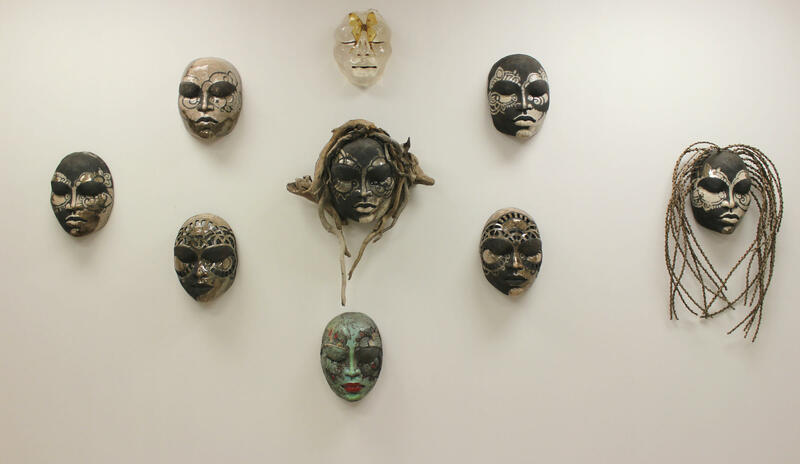 Works include paintings by Haitian artists Turgo Bastien and Philippe Dodard, a series of masks by Nakkazi Hutchinson and a map of the United States made from bullets by artist Moal. 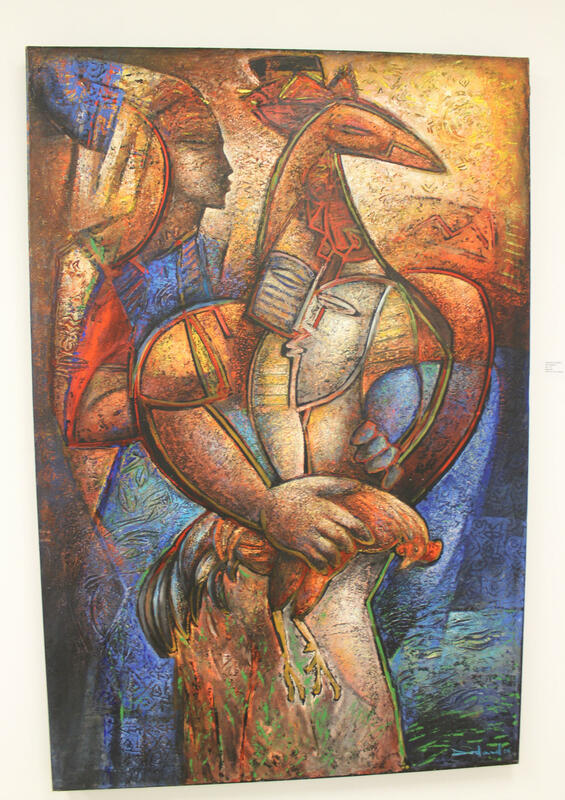 "Offrande" by Haitian artist Philippe Dodard. The Art Africa Miami Arts Fair has taken place in Overtown for the past five years as Hall sees the exposure to and participation in art as an important way to engage the community. Hall described Overtown as the heartbeat of Miami art and culture and hopes to use art and design to help revitalize the area. “It is an attitude that says ‘it can happen in Overtown’--that we, as artists, can transform this space,” he said. The exhibition will be up through Sunday, but Hall aims to launch monthly art exhibitions, including an art walk, in Overtown in 2016.